My older boy gets coughs. Sometimes they won't leave. According to an old wive's tale, rub peppermint oil on their feet, put on socks and send them to bed. This salve is powerful and yet mellow enough for kids. Castor oil, calendula oil and beeswax with the essential oils of eucalyptus, peppermint, rosemary, pine, tea tree and lavender. Although I have used this salve on both my kiddos and myself, do a patch test on a sensitive kid to make sure it doesn't irritate them. 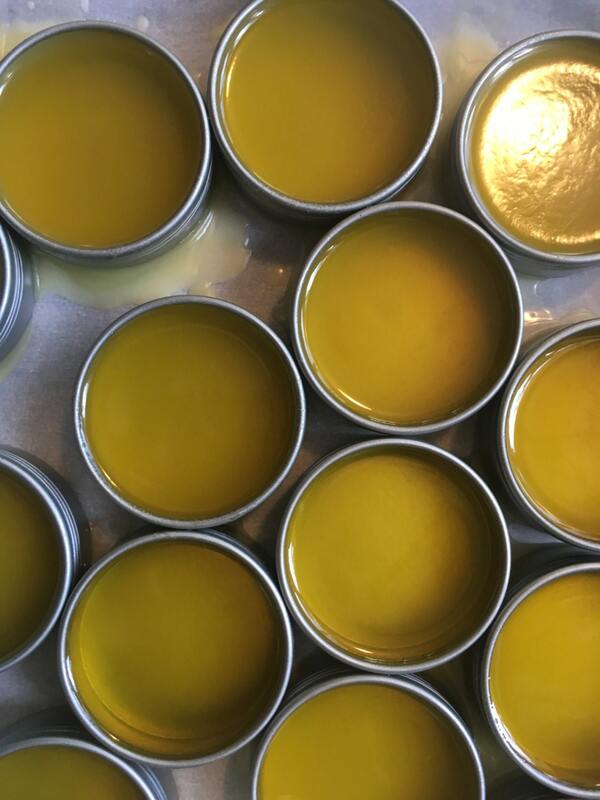 This salve is similar to Vicks vapor rub or mentholatum, but mellower and without the petroleum products.